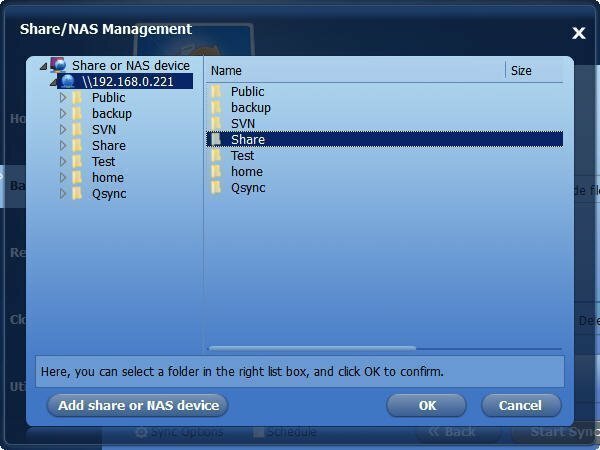 Automatically sync folder to NAS will save a lot of work for individual users, who can access the NAS device and share data on it. It is more convenient for transporting data. NAS is the abbreviation of network attached storage, which is used for sharing and backing up data. It is more convenient for users. Because people can get the data on NAS by accessing it. Thus, more and more people save the data on the NAS, or backup to NAS. 1. The folders are backed up. 2. The files/folders can be accessible from any computer in a same network. However, they are different with each other. 1. A backup file should be “restored” before reading by using the software you created the backup. 2. while sync is different with that, you can read data directly from the sync, and once the data on the source device changed, it changed on the destination device too. Considering with all the aspects, you will find that sync folder to NAS should be the better choice for you. But how to sync folder to your NAS? Here, AOMEI Backupper Standard is highly recommended. It is a powerful backup software that supports you automatically sync folder to NAS. 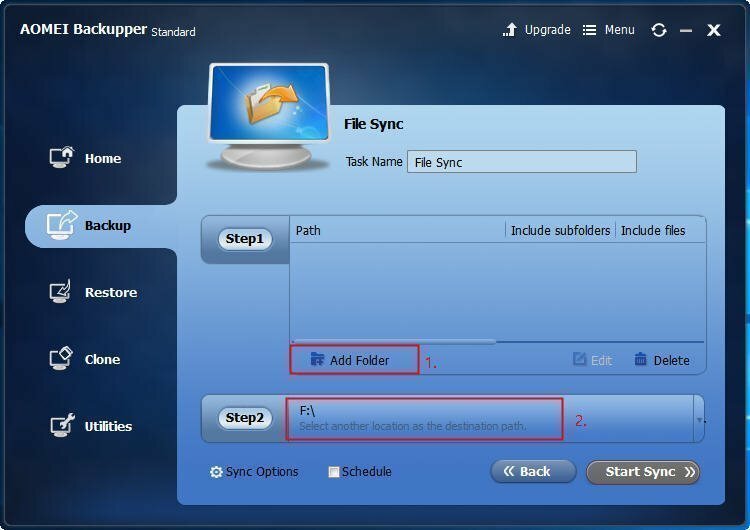 Here is the specific steps for you to automatic synchronize folder to NAS with AOMEI Backupper. Step1. Download AOMEI Backupper Standard free. Install and launch it. It will show you the main interface, click Backup, slide the bar and select File Sync (designed for backing up files by file synchronization, no image file). Step2. Then, you will get into the interface for choosing the source party and destination place. > First, clickAdd Folder at the “Step1” to choose the folder you want to backup. > It will pop out a window to choose the folder. Click Browse to find it. 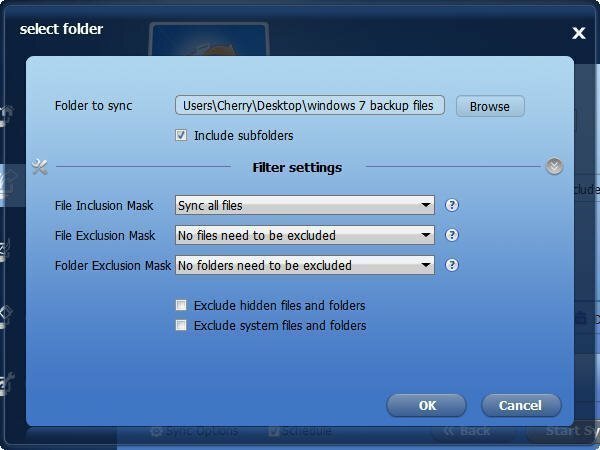 AOMEI Backupper supports you backup files with file inclusion mask, or file exclusion mask, you can set up by Filter settings. 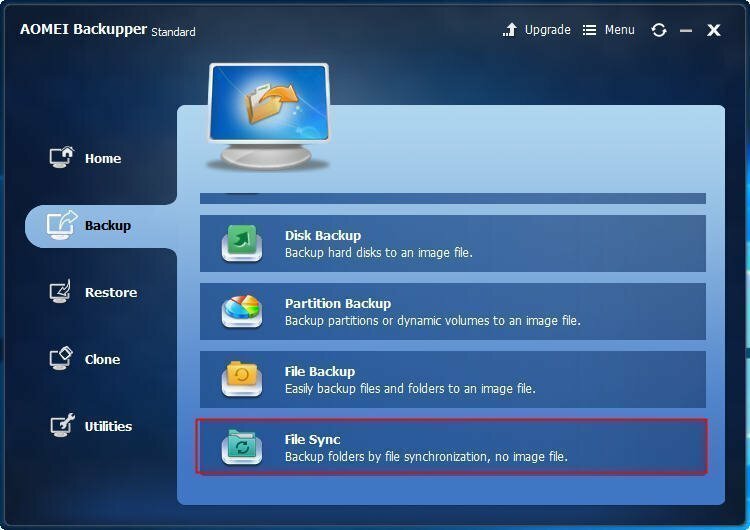 After choosing the folder, click OK.
> You will back to the File Sync interface, then, you should select the NAS to sync folder to your NAS. Click “Step2”, select Share NAS in the left pane. 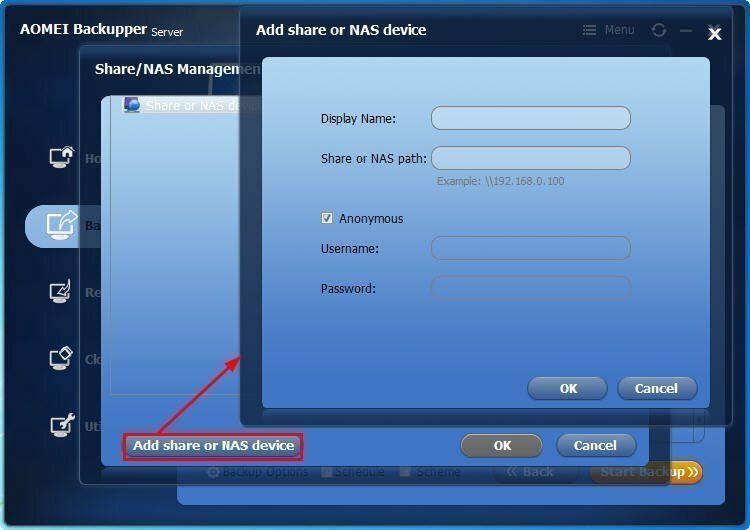 > It will show you the Share/NAS Management, click Add Share or NAS device, type the IP address of the NAS drive. ClickOK. > Click the IP address, all the folders will be listed in the box, select one and click OK.
Step3. 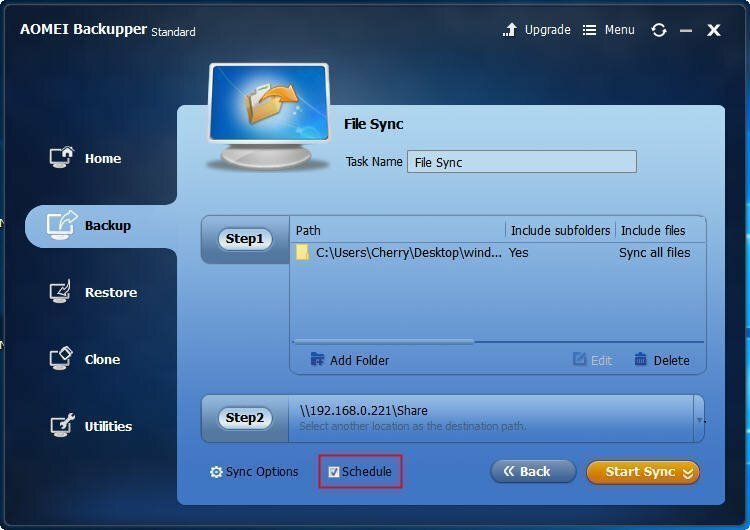 To automatically sync folder to NAS, here you need click Schedule to set up. Click it on the bottom. 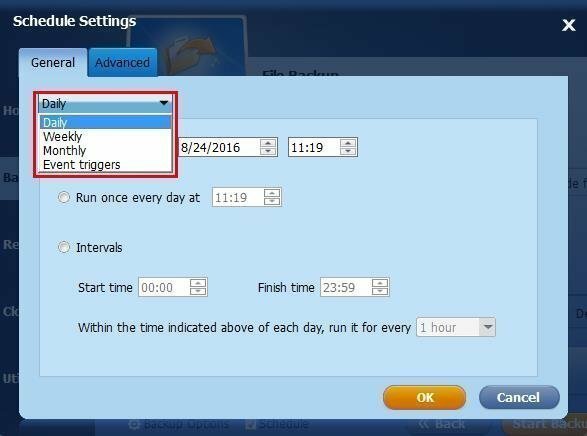 Step4.Then, you will get into the window where you can set an automatic sync folder to your NAS for daily, weekly, monthly or event triggers. Step5.After setting up a schedule, click Start Backup to launch the progress. Those are all the steps for automatically sync folder to NAS, it is very simple and it is easy to operate. 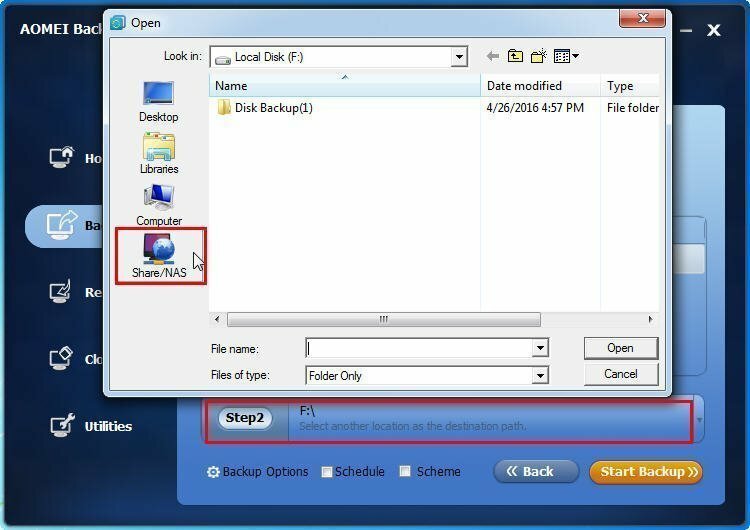 Besides sync folder to NAS, AOMEI Backupper has many other utilities, such as backup to NAS, sync two folders, do an incremental or differential backup, etc.